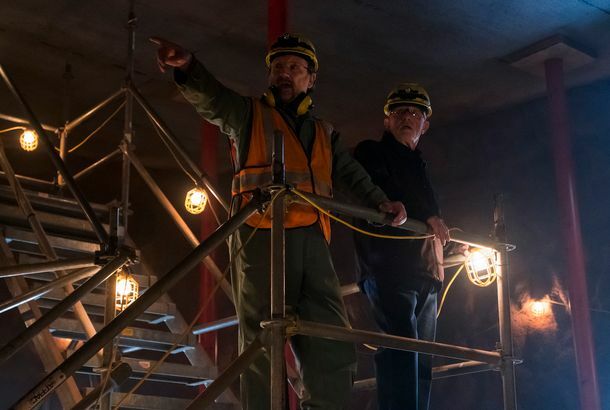 How Better Call Saul Rebuilt the Meth Superlab From Breaking BadThe “daunting” project took a team of 75 set designers, artists, and carpenters, plus advice from a structural engineer. Better Call Saul Season-Finale Recap: Dead Ends and Fresh StartsMike takes care of some messy business as the prequel series draws ever closer to the world of its predecessor with its fourth-season finale. Better Call Saul Showrunner on the Season-4 Finale and the End of Jimmy McGill“You might be seeing the death of Jimmy McGill as we’ve known him,” says Saul co-creator Peter Gould. Better Call Saul Ends a Bleak, Beautiful SeasonSaul caps off its best season yet with a bruisingly sad finale. 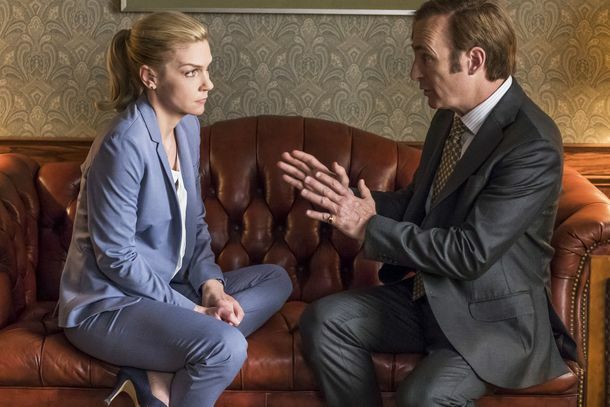 Better Call Saul Recap: German’s MarchKim and Jimmy have a disagreement in an eventful episode. Better Call Saul Recap: Bayou Bayou, BabyKim reveals a new side of herself in an episode that could have grave consequences for the future. Better Call Saul Recap: Cast AwayJimmy’s double life starts to catch up with him as the series jumps forward a bit in time. Better Call Saul Recap: Cell AwaitsAs Jimmy gets increasingly comfortable on the other side of the law the series offers a look at some of Gus’s darkest qualities. Better Call Saul Recap: Better Off ShredJimmy continues his long slide into becoming Saul in one of season four’s standout episodes. Better Call Saul Recap: Broad StrokesJimmy and Kim’s employment woes continue while Mike tries to parse Gus’ unclear intentions. Better Call Saul Recap: Letter-Day SaintsJimmy plots a tiny heist, Kim reads a letter, and yet another familiar, tragic face shows up. Kim Wexler’s Ponytail on Better Call Saul Is a Follicular Force of NatureIt’s more than a hairstyle. It’s a reflection of who Kim is and who she wants to be. Better Call Saul Recap: Down With the SalesmanshipSaul goes job hunting and finds an opportunity he’s not expecting. Better Call Saul Season 4 Is Great Because It’s PatientThe pleasures of Better Call Saul are almost entirely visceral and emotional.